Jim focuses on the importance of being able to read proficiently and how daily reading can become a healthy habit that pays big life dividends. He brings his personal struggles with dyslexia into his talk and discusses how he refused to allow his condition to negatively impact his love for reading and learning. Jim can customize this presentation for any elementary school age group, K – 5, and consider booking him during March when it’s National Reading Month! Reading is Important - Daily reading is a healthy habit that can inspire creativity and your imagination. Jim also shares other healthy habits that can impact your life and the ones around you. Jim's Personal Story - From his personal struggle with dyslexiaand his journey through special education to graduating at the top of his class - Basketball Jones is a result of never giving up. National Reading Month: Perfect assembly for your Reading Month initiative. The messages align perfectly with what Reading month represents and Jim will customize his message to fit your school's personal reading month motto, messages, or even goals. Launching Reading Program: Schools launch reading programs all year round and Jim's reading assembly is a great way to launch your program and get your students and faculty excited about reading. Celebrating The Conclusion of a Reading Program: Your reading program has come to an end and your students accomplished the programs goals. 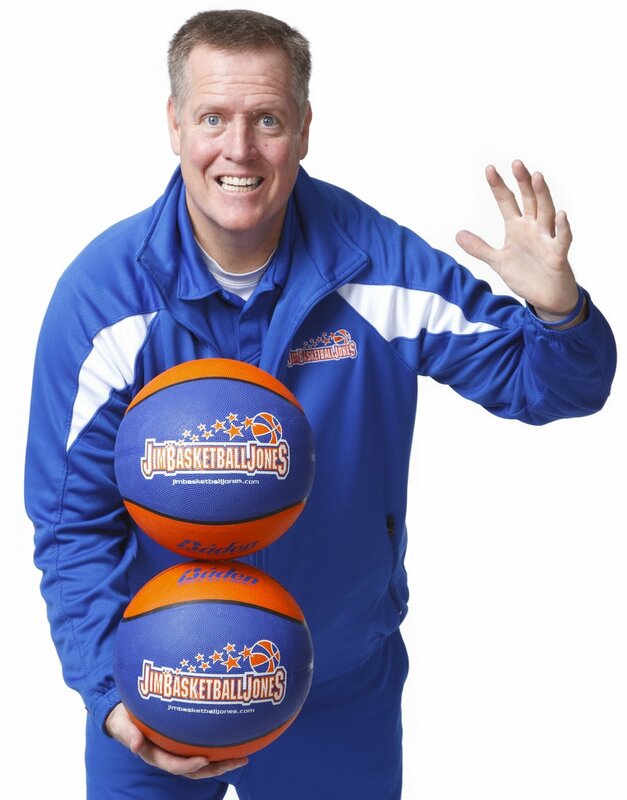 Now its time to celebrate and there is no better way than with a Jim "Basketball" Jones assembly. "We have had Jim visit our school for 10 years in a row; he never fails to excite the students, staff and parents. One great message for all ages and groups! Jim will be back again next year; the kids just love his energy and comedy." Jim will customize your school assembly to meet the needs of your school. This is a investment for your students and staff so make it the way you want it. If you like messages for Character Education, but also want to touch on Anti-Bully Education; we are happy to accommodate both. If you are celebrating Reading month, but would like Jim to share his message on "Applying Kindness", we have you covered. Being able to mix and match messages from all programs is what makes a Jim "Basketball" Jones school assembly a truly unique experience.